What is the mission of The Kellogg PEAK Initiative? Our mission is to bring out the limitless potential in young leaders through extraordinary experiences and nurturing relationships. Our new vision sees this mission manifest in young leaders positively shaping their community with poise, persistence, confidence and character. We pursue this vision and execute our mission we strive to foster exploration and discovery for young people through meaningful experience-based learning. Where are the youth from, and how many are served? Over 550 youth from 390 families are served annually. We have served thousands of youth over the last 15 years. Participation varies by zip code, but some of the most prominent areas are 53215, 53204, 53209, 53206 and 53205 with a high number of youth coming from Bruce Guadalupe Community School, Milwaukee College Prep, St. Marcus and Prince of Peace. The PEAK Initiative has many community partners and is always building new relationships. Some of our partners currently include the Milwaukee Repertory Theater, Penfield Montessori Academy, ActivateMKE, Marquette University, Milwaukee County Parks, MATC, Habitat for Humanity, 88.9, MPS, The Urban Ecology Center, Near Westside Partners, Midtown Partners and Friends of Tiefenthaler Park. What is the role of alumni? Our alumni have shaped our organization since the beginning. Some of these alumni have been part of the program for a decade, starting at age 7 through graduation. They have helped to build our legacy and transform programs to what they are today by identifying the need of youth and our communities. Without them, we would not be where we are today. We are so proud of the alumni who go forward shaping minds, their communities and the world through positive choices and goal-driven impact. Currently, the organization is privately funded by The Kellogg Family Foundation. The PEAK Initiative was recently named a Heart of Canal Signature Charity. Our program center on Cherry St. is located in Tiefenthaler Park, on county owned land called Tiefenthaler Park. We work very closely with the county in an effort to facilitate a program that benefits surrounding neighborhoods as well as Milwaukee at large. What is the importance of this organization to the community? The PEAK Initiative has impacted the community since 2002 by offering unique, intentional programming focusing on the individual growth of our youth. 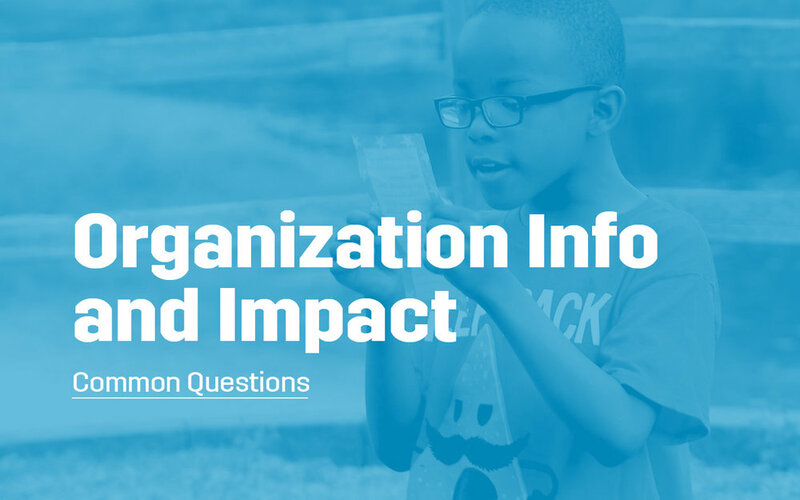 Since its inception, the organization has served thousands of Milwaukee youth and continues to serve as a cornerstone of success, leadership, experience and growth. For many youth, the experience they receive by attending programs by The PEAK Initiative, is one they would not receive anywhere else. The PEAK Initiative serves as a “third-place” of safety and support, encouraging our youth to grow and live up to their fullest potential. The PEAK Initiative is proud of the youth that have been impacted so far, and continues to engage with bright youth in hopes of shaping the larger community through harnessing the limitless potential in young leaders through extraordinary experiences and nurturing relationships. Our new vision sees this mission manifest in young leaders positively shaping their community with poise, persistence, confidence and character. Long-term, the organization hopes to be recognized among colleges and employers as an organization that grows young leaders, positioning graduates of the program as impressive community members with a wealth of leadership experience. It is our goal to have the PEAK Initiative recognized as a best practice model for social and emotional learning in urban programming. We hope that PEAK Alumni shape their communities with poise, persistence, confidence, and character. PEAK is the recognized expert in preparing young people for lives of leadership and purpose. How do I register my child? Is PEAK Initiative/Lake Valley Camp a “first come, first served” program? We are committed to building long-term engagement with our participants. PEAK prioritizes enrolling youth who could not otherwise access high quality enrichment and leadership development programs. Registration priority is given to previous participants, those attending our partner schools, and residents of the Midtown neighborhood, but any Milwaukee resident youth can submit an application. When will I know if we've been accepted and the session we are assigned to? This year we are confirming registrations within a few weeks of their submission. This means the earlier you submit your COMPLETE application, the more likely you are to get the sessions you want. You should be informed of your child’s session assignments within a few weeks of submitting your application. Why do I have to submit a deposit for summer participation? Due to our growing number of programs and significant investment of time and resources to provide high-quality programming, all families will be asked to make a refundable deposit for each week of camp. Based on family feedback, we are requesting $10 per week of camp. Deposits can be made in-person (Cash, check, or credit card) and via our PayPal link on our website. Mailed deposits are not encouraged; we are not responsible for funds lost in the mail. What is PEAK Initiative / Lake Valley Camp’s cancellation policy? Once a child is assigned to their camp session(s), it is expected they will attend. Cancellations made prior to June 7, 2019, you will be eligible for a refunded deposit. 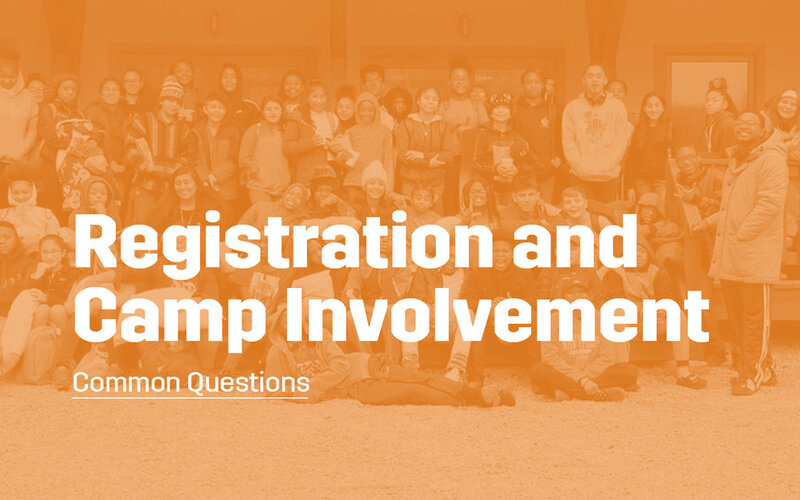 If your family experiences an unforeseen conflict after the cancellation deadline, you are expected to contact PEAK Initiative/Lake Valley Camp immediately to inform us that your child can not attend their session. Unexcused/Unreported absences may result in ineligibility for future involvement. If your child is a no show on the first day of any Milwaukee-based day camp, their spot will be given to a child on the waiting list. What activities are available at LVC summer camps? Resident Camp activities include boating, swimming, archery, field games, fishing, hiking, nature studies, stargazing, creative and performing arts, horseback riding, team sports and team building, variety shows, peer mediation, conflict resolution and more. Pathfinder Day Camp activities include gardening, field trips, team building games, STEAM activities, outdoor free time, and healthy living. We also offer Day Camp programming for our 3rd to 8th graders targeted to specific interests and exploration. Our programs are centered around experiential learning to provide a well rounded program that engages youth in hands on fun. How will we know what to pack for resident camp? We provide this information to all families when we send out our Ultimate Guide in the spring. Is food provided at your camps? Yes! At our Milwaukee-based camps, breakfast, lunch and a snack will be provided every day. Unless your child has special dietary restrictions, we ask that you do not bring food from home. At our resident camps, we provide all meals and snacks. Campers may not bring food from home unless there are specific dietary restrictions - we do not have proper storage options at Resident Camp for extra food from home. How do I know my child is safe and the program is high quality? PEAK utilizes the Youth Program Quality Assessment and Camp Program Quality Assessment tools organized by the Weikart Center to ensure that we are offering a safe and engaging experience for all participants in all programs. Our Resident Camp is accredited by the American Camp Association which is a rigorous process with high standards to ensure safety and to manage risk. We hire gritty, committed, intelligent, and caring people; PEAK staff are the best of the best. Staff are thoroughly trained and screened; ongoing professional development and feedback is a part of the PEAK culture. Our staff to participant ratios are low allowing for the needs of our young people to be readily attended to; depending on the activity, ratios range between 1:4 to 1:8. Not convinced? Talk to a current participant and their parent or caregiver. Our families are honest about their experiences and we’d be happy to put you in touch. By definition, social and emotional learning (SEL) is the process through which children and adults acquire and effectively apply the knowledge, attitudes, and skills necessary to understand and manage emotions, set and achieve positive goals, feel and show empathy for others, establish and maintain positive relationships, and make responsible decisions. What this means, is that SEL helps youth learn to balance, manage and navigate social situations, whether it be understanding how to behave when upset, learning to have hard conversations or show empathy through positive contact with peers, SEL is a cornerstone to building happier and healthier futures for youth. Where will my child sleep at Resident Camp? Campers sleep in our rustic villages which are community areas consisting of 3-4 cabins each with 4 bunk beds that sleep 8 campers and 2 counselors. Each village has a restroom shower house. Campers are grouped by age and gender and there are separate villages for boys and girls. My child is currently at camp in Boscobel and I want to see how they are doing. Can I talk to them? Our experience has taught us that it is best for your child’s overall experience to be fully immersed in camp life and therefore we do not allow telephone communication between campers and parents except in extreme emergencies. We will provide your child with writing materials/stamps and encourage them to write home as often as they like. You may call our office staff at 608-872-2392 to receive a report on how your child is doing while at camp - we commit to returning your call within 24 hours. You may also send mail to your child at: 40526 Hoover Hollow Road Boscobel, WI 53805 or send emails to your child to info@peakinitiative.org. What if I am nervous about sending my child to camp? We’re here to answer your questions. Give us a call at (414) 431-4508 and we can direct you to our team. How does a school become a partner? PEAK is looking for strong partnerships with schools serving Milwaukee youth and families of greatest need. Partnership requires the investment of time, energy and resources for all parties to support the development of our young people in long lasting ways that matter. Schools/school leaders who are interested in recruiting and enrolling a significant number of students, supporting PEAK school year programming, setting shared goals, connecting year round on student progress and achievement, and who can invest in long-term commitment should reach out to PEAK at: info@peakinitiative.org or 414-431-4508 to setup a site visit and school tour. How is The PEAK Initiative funded? PEAK is a 501c3 non-profit organization and programs are supported by incredibly generous donations made through a private foundation and the contributions of caring and invested community members and partners who support the PEAK mission and believe in the potential of our young people. 100% of PEAK youth attend programming at no cost to families aside from committing to keeping involved and engaged and to giving back in some way to The PEAK Initiative community. Absolutely! You can donate online or by mail. Contributions can be made out to The Kellogg PEAK Initiative and can be sent to or dropped of at our main office and program center: 2480 W. Cherry St. Milwaukee WI 53205. Donations are tax deductible. In-kind donations of program supplies, outdoor and camping gear, and/or non-perishable snacks are always welcome and appreciated. Why has the named changed to The Kellogg PEAK Initiative? As a result of Lake Valley Camp’s widespread success, we expanded our offerings to include after-school and daytime offerings to serve more youth in our community. As we continued to expand, we realized the name Lake Valley Camp, no longer encapsulated all that we do as an organization. The Lake Valley Camp residential summer program has made an impact in the lives of thousands of Milwaukee’s youth over the last decade - but we knew we could do more and be better. In order to do this we transitioned our name to The Kellogg Peak Initiative in order to best represent all that we offer for Milwaukee Youth. The organization’s new name reflects our revised mission, bringing out the limitless potential in young leaders through extraordinary experiences and nurturing relationships. What does PEAK stand for? 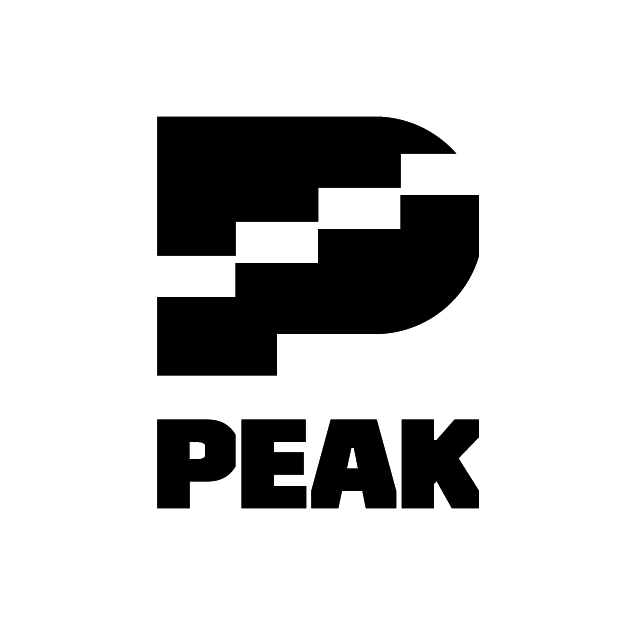 PEAK stands for Potential, Experience, Access and Knowledge. The full name is The Kellogg PEAK Initiative, or the PEAK Initiative for short. Is Lake Valley Camp in Boscobel, Wis. closing? No, it is not. Lake Valley Camp has truly made a difference in the lives of thousands of children and young adults, and will continue to provide dynamic experiences to the youth of Milwaukee as a part of The PEAK Initiative. The PEAK Initiative has grown in the last several years, and we hope that it continues to grow, being able to offer diverse and dynamic programs to the youth of Milwaukee in areas where support and programming is needed. While currently the programs are remaining the same, there is always the opportunity to offer additional offerings as needed. In what other ways has the organization changed, if any? In addition to updating our name, our mission and vision have also changed to best reflect who we are as an organization. The new mission is to bring out the limitless potential in young leaders through extraordinary experiences and nurturing relationships. Our new vision sees this mission manifest in young leaders positively shaping their community with poise, persistence, confidence and character. We pursue this vision and execute our mission we strive to foster exploration and discovery for young people through meaningful experience-based learning.